Hello my name is Wayne and I'm from Canada the frigid north. I have been building websites on the internet since 2003. I have been dabbling in Affiliate Marketing since 2013. I am trying to find out the secret sauce to being successful but hard work and honesty is my motto. I have several partially completed sites and one that has potential making a profit every month. I have been discouraged by all the internet rip offs happening several times to me by different scam artists. As a result I don't believe anyone on the internet but I am confident WA is the right choice. I believe that WA is an honest product and what I need to help me to being successful in Internet Marketing. My goal is to end up with something successful and profitable to show for the effort I have put into it. Hopefully I can get to the point I don't need a 9-5 job and can spend more time at home with friends and family. Thanks for the follow and I am following you back. Welcome to WA and congratulations on going Premium. Let me say that the move to PREMIUM for me was a decision that said --- YES, I can do this. You can too, and I am hoping you enjoy it as much as I do, creating content, and sharing that content with others. Hello and congrats on going premium! You have made an awesome decision. As for me, it was the best decision that I have ever taken! Best wishes! Congrats for upgrading to premium. I wish you continued success here at WA and I look forward to seeing you at the top. Welcome to WA premium club. Stay focus and don't be distracted. Hello My name Anthony ..Congratulation on becoming Premium Member, I also wanted to welcome you to WA, I'm sure you're going to find some exciting training here, I wish you the best in your website venture.. Follow Me " I will be sure keep an eye on your progress. Hello Wayne and a very belated welcome to wealthy affiliate. Thank you for the follow and for your earlier comments on my blog. I will follow you as well and if you believe I can help then just drop me a line or two and I will see what I can do but if you have a site that is actually making you some money I would stick to that one and concentrate on its development as your number one priority. Hello Wayne, I've lived in 5 provinces in Canada and wish you the very best. Keep at it. Never give up. Thanks for the words of encouragement. Myself only lived in Ontario but I have been to both Canadian coasts at various times plus 29 of our neighbors states. I have had some small successes with 2 of 3 websites(but not on my WA site yet). Working full time on 3 rotating shifts has not left me with much time to work getting retirement revenue set up. Maybe I'm using it as an excuse but it makes it hard to focus on my goals. All the best. I get that. It's hard to focus for me too. I just tell myself I will never give up. I have one site up getting some hits but no sales yet and another one is in transition, I will send up a prayer for you and perhaps you will succeed sooner than expected. Keep at it and schedule time with your family first then eek out 30 minutes when you can. 30 min is excellent focus time. 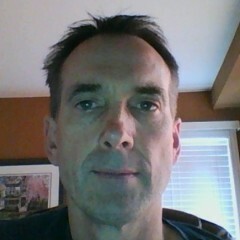 Hi Wayne, nice meeting you and thanks for adding me to your network! Wishing you all the best and success! thank you for the follow Wayne and very glad to work with you on here (: it's really sad reading about you and so many others getting ripped off / scammed .. this is my first time on any type of website like this and just from everyone else enthusiasm and confidence in it I am pretty certain it's the real deal! Very glad I landed here and glad you have to because we all definitely deserve to have something to show if we do actually put in the hard work! Hi Sarah glad you are here at WA. Myself I came across WA by accident trying find answers to questions about building my 1st website. I found an article by Nathaniel regarding scams and found him and WA to be very honest. That basically started it for me. I was building my first site and since then I have 3 sites I'm working on. At the moment 2 of 3 sites are making money through affiliate commissions. It is not easy but if you keep at it and follow the course you will succeed...good luck. I came across it by typing in google 'is wealthy affiliate a scam' and then yeah, it started from there (: It's nice to know that not everything these days is a scam! I definitely don't expect it to be easy but like you are saying, i am definitely going to follow the course and stay positive about it all! Congrats to you (: and thank you! Thank you for following me Wayne ! =) I'm looking forward to working with you! Hello Wayne, thank you for following, all the best to you here, regards. Wayne, I see you are making some good progress through the Affiliate Bootcamp. Just wanted to pop by and see if you need a hand with anything? Anyways, just checking in. Get back at me if you need anything Wayne. Greetings Wayne... thank you for your follow! Wish you all the best in 2015 and beyond! Thank you sir, same to you! Thank you Wayne for the follow and many blessings to you here at WA. If you have the time or wish to, please check out my blog posts on my profile page. I blog about ways to help you build a better website and best practices here at WA. I also post an entertaining and/or humorous blog every Sunday. Enjoy! You upgrade you membership and personally think tha is great! Enjoy your new additional privileges. 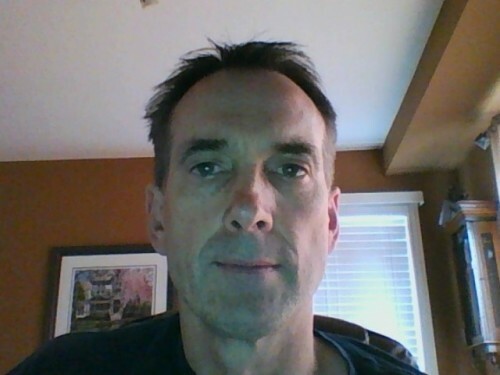 Welcome to Wealthy Affiliate Wayne! 2) You can get started learning how to make money by doing your Level 1 Certification Course. Click on the green "Get Started Here" button or just click this link Online Entrepreneur Certification - Getting Started (Level 1).